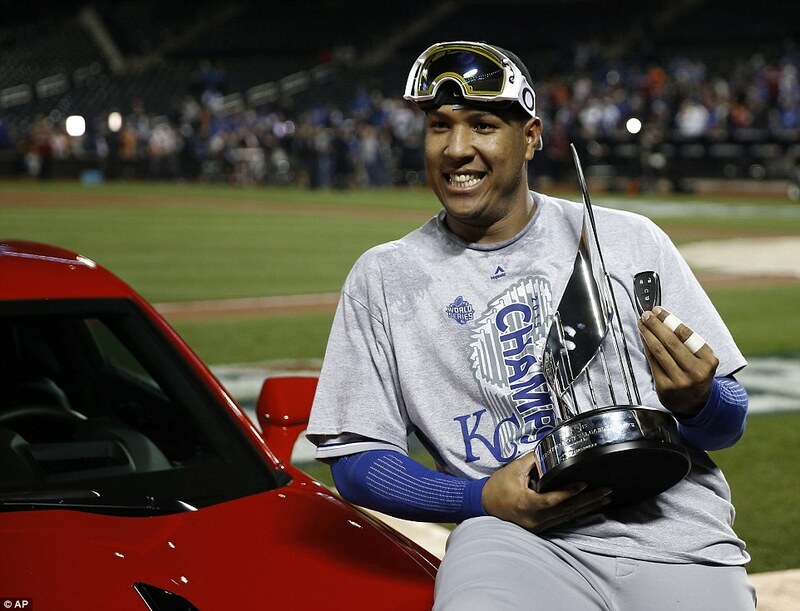 Former Burlington Bees catcher Salvador Perez was named MVP of the 2015 World Series after batting .364 (8-f0r-22) with two doubles, two RBI, and three runs scored. His team, the Kansas City Royals, beat the New York Mets in five games to win their first World Series title since 1985. Perez batted .189 with six doubles and seven RBI in 36 games with the 2009 Bees. He is a perfect example of why I like looking back at the Midwest League statistics of players. Sometimes their MWL stats are reflective of their MLB production — Mike Trout is a great example of that — while other times, as in the case of Perez, they don’t match up. Over his five MLB seasons, Perez has batted .279 and solidified himself as one of the best catchers in baseball, and is considered by many to be the heart of the Royals. In other words, sometimes a player hitting below the Mendoza line in the Midwest League turns out to be somebody notable in the big leagues — and will play a starring role on baseball’s biggest stage.